Transforming Our School - Scoil Ursula N.S. We reach for the stars...together! In Scoil Ursula we're always trying to improve. Improve what you say? We are always trying to improve ourselves, the children in our care and the world around us. In that spirit we're trying to improve our school grounds in as many ways we can over the next few years. No school is perfect but if we keep aiming for the stars then we might just be "over the moon"! So where do you come in? Well are you a pupil, parent, staff member, Board of Management member, past pupil, community member, or just interested in our school and want to see it do well? If you're any of the above then we need you! Submit an idea for improving our school? 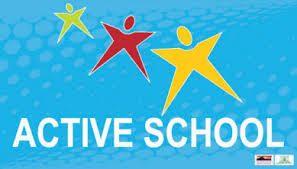 Help out in Scoil Ursula, helping the staff and the children improve? Organise or participate in a fundraising activity? Spread the word to former pupils of Scoil Ursula about this page on the website and how they can help out? On this page you will find forms to submit ideas for school improvement, fundraising activities, and for submitting contact details for past pupils who you think might be interested in helping us. We have also included our Bank Account details so that people who are able to donate any sum of money or set up a direct debit can do so. Over the next few weeks and months we hope to gather all of the ideas that you generate and begin a sustained fundraising drive to help finance our dreams for our school. Are you able to donate a voluntary contribution to our school? If so then please use the above Bank account details to lodge your donation into. We are suggesting a voluntary contribution of €100 per family per year or what ever you can afford. Every cent will go a long way to help improving our school! If you think that you might be able to help improve our school then please fill out the form below! By filling out this form we will be able to build up a large group of volunteers that we can call on to help out in making our school the best that it can be. Thank you! Is there something else you feel you could do for the school?